Diwali is also known as Deepavali. It is a festival of Lights. Deepawali is an extremely popular Hindu festival of India which is celebrated by the people of the Hindu community. The festival is celebrated every year either in the month of October or November. The festival of Diwali has been an integral part of celebration life for Hindu religion in India. The history of Diwali celebration is related to the origins of the Hindu culture but, nowadays it has become a symbol of having fun and life enjoyment. It should not forget that it has religious roots. This year in 2019, Diwali is in November month. 5 Days of Diwali starts from 25th October 2019 and ends on 29th November 2019. As we know Diwali is celebrated for 5 days and each day has different importance. The first day of Diwali is called Dhanteras or Dhanatrayodashi. This is a time when houses, offices are cleaned and decorated. Rangoli is drawn in the front yard of houses and offices premise especially in front of an entrance. Lightning is done with "Akash kandils" and "Diyas" (In the late evening) to celebrate Diwali as this is festival of lights. These lamps are kept burning throughout the night in honor of Lakshmi and Dhanvantari. Diwali festival comes with the second day known as Narak Chaturdasi. In the early morning, religious rituals are performed. Houses are decorated again and home entrances start shining with beautiful rangolis. The third day of the festival is the main day called as Lakshmi Puja. 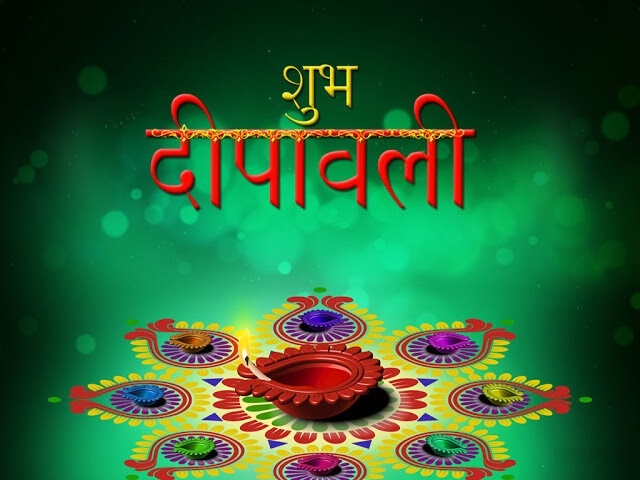 This day has special importance in the Diwali festival. From the early morning, decoration starts with Diyas, rangoli. Crackers are used in the heavy amount to elevate atmosphere of Diwali. People wear new clothes. In the evening Lakshmi Puja is performed which is the symbol of wealth and prosperity. Lamps filled with oil are lighted and placed in rows. Important relationships and friendships are also recognized during the day, by visiting relatives and friends, exchanging gifts and sweets. The fourth day of Diwali is called as Padwa. This day is celebrated for the love and mutual devotion between the wife and husband. The husbands give gifts respective spouses. Newly married daughters with their husbands are invited for special meals by the relatives. Devotees perform Goverdhan puja in honor of Lord Krishna on this day. The last day of the festival is called Bhai dooj. It is celebrated as the relationship between sister-brother, same as Raksha Bandhan but there is a difference between rituals performed. The festivity of Diwali cannot be considered without Diwali Sweets and Gifts. It is a tradition to exchange sweets and Gifts with neighbors, friends, and relatives. The Diwali Sweets List includes various traditional Indian sweets such as wheat Laddu, Son Papdi, Besan ki Barfi, Karanji, Khoya laddu, Malpua, Gujhiya, Chivda, Chakli, Karanji etc.